Hansen colleague rejected IPCC AR4 ES as having "no scientific merit", but what does IPCC do? | Watts Up With That? Hansen colleague rejected IPCC AR4 ES as having "no scientific merit", but what does IPCC do? While perusing some of the review comments to the IPCC’s Fourth Assessment Report, I came across the contributions of Andrew Lacis, a colleague of James Hansen’s at GISS. Lacis’s is not a name I’ve come across before but some of what he has to say about Chapter 9 of the IPCC’s report is simply breathtaking. Chapter 9 is possibly the most important one in the whole IPCC report – it’s the one where they decide that global warming is manmade. This is the one where the headlines are made. UPDATE: There’s an update to the story at Dot Earth. February 9, 2010 in IPCC. The earth was flat…that was based on peer reviewed literature as well. Cold Fusion was based on peer reviewed literature. Thank you, Dr. Andrew A. Lacis, for having the courage to speak the truth! Did you get a nice pay raise or promotion after telling the truth at NASA? So I assume the reason we don’t immediately recollect the name of Lacis is that he spoke out? Unbelievable! Wait, …. I do actually believe it – sadly. Is this man watching the office when Hansen is out protesting against coal mining? There is no scientific merit to be found in the Executive Summary. The presentation sounds like something put together by Greenpeace activists and their legal department. This week’s edition of Canada’s Northern Miner has a cartoon entitled: How climate scientists estimate reserves. There are a number of very telling comments from other contributors in that document too. It’s well worth a read. One of the issues with the review process is what appears to be the absence of any formal process of escalation. We saw this in reviewing chapter 6 comments. A issue would be raised and the author would summarily reject it. RV: The data actually shows Y. LA: Thanks mr. reviewer good catch, my bad! LA: The data shows X. LA: Your results were contradicted by my grad student Phil. except the two peer review guys that used to work in your lab! LA: It counts as a published article under the rules. and the shorter polite version. RV: no they dont, they show Y.
this is indeed a report with a clear and obvious political agenda. Which is that political agenda?, How will it affect our current way of living?, How will it change the future of our descendents? Wil they be slaves or what, if these policies are enforced?. Oh, sure, they will tell us “they will live in a more just world, they will be happy and will drink ambrosia (“kool.aid”) everyday. Who did elect them for even thinking that or planning our future? How are you dealing with them and who are them? Second, our job is liking chiseling The Thinker out of a block of solid granite. With each whack of the mallet the truth becomes a little more apparent until one day everybody who chooses to see will view what’s obvious. Until then, keep whacking away. It is not a matter of exposing the puppets but the ones who control the puppets. I humbly and respectfully request that this ‘blip’ be drawn to the attention of H. R. H. Prince of Wales for his consideration and further, make sure your M. P., Congressman or other representative is aware of this item. Again, a recurring theme here. Notice his degree dates. They’re all in the 1960’s. The only people on either side of the AGW arguement qualified or capable of applying scientific methodology correctly in such a poisoned environment that now exists at US federal intititutions, specifically, NASA and NOAA (oh! and yes, the EPA) are those who have their pensions in the bag and secure. All the younger scientists are in a conflict of interest situation and are being intimidated from dabating the science in any intelligentb way. The President, even if he believes in AGW, should clean house to maintain the integrity and transparency of science. Oh! Wait!, those were his words right? To begin with Hansen has to go. He’s stepped way over the line legally and scientifically in my opinion. The President should call in Charles F. Bolden and make it very clear that if he can’t fire Hansen or persuade him to retire, that he’ll find someone who can. And now we find that, indeed, the IPCC is using exactly the sources Dr. Lacis claimed were in use. Who again are the denialists? Andrew Lacis: Just how does “anthropological influenced” atmospheric circulation differ from “non-anthropological influenced” atmospheric circulation? Reply: We don’t understand reviewers point. A good analogy would be Bre-X, a major gold mining scandal that involved salting (fudging) samples taken from a gold deposit. They basically worked from the same hypothesis–that the “real” grade was much higher. You can imagine the outcome; it was a disaster. The reasoning behind the two are equivalent, as will be the consequences. Why would Obama want Hansen fired? They share the same belief system. This shows very clearly the climate of fear that the scientists are operating in. Speak out of turn, and Hansen or another big boy will slap you down, take away your funding or simply side line you. This is compelling evidence that needs to be shouted from the roof tops. What was the word limit on comments? I’d love to read the 2,500 word version of that. I do feel somewhat for the LA there tho –“delete it” was obviously not a tenable solution, and there isn’t enough detail in that comment to come to grips with on individual issues. Lacis would have been better off with a couple dozen detail-level comments picking it apart showing what he was pointing at rather than the overarching “To the Trash Bin –GO!” comment. But likely he knew he was tilting at windmills anyway, and decided one pass on the field of honour was enough, and the ultimate impact on the work-product the same. On the Feb. 6 post ipccs-latest-blunder-africagate at (16:25:53), Kendra asked if no one really studied the references the IPCC used? There are several responses there but I don’t know if anyone ever kept track of such things in a single document. I know I did not. Kendra, are you still with us? How will it affect everyday life? Watch the Green Police commercial. Y will profit by selling X. Z will be arrested for being in possession ox X, and pay a heavy fine after getting gouged at buying point X’. It’s hardly surprising since the executive summary was likely written first. Actually, you are wrong. Educated people have known since the Greeks that the world is not flat. Secondly, there seems to be good evidence for some sort of “cold fusion” effect that needs to be explained. There is no scientific merit to be found in the Executive Summary. The presentation sounds like something put together by Greenpeace activists and their legal department…….The Executive Summary as it stands is beyond redemption and should simply be deleted. This guy is ringing my bell. I didn’t know I had a twin. Remember this is from IPCC WG1, “The Physical Science Basis”. Most of the examples of high-profile IPCC errors and exaggeration discussed in the media so far have been from WG2. The unjustified assumption made by journalists (such as Jonathan Leake) is that WG1 is much more rigorous. In fact, WG1 has all the same features of distortion, cherry-picked literature and exaggeration as WG2 (though WG1 does avoid the use of ‘grey’ literature). I suspect there is a residual amount of energy in any cold fusion experiment. What is being measured is the imparted energy from act of performing the experiment. A tribute to the degree of precision of measurement, not of the actual discovery of new energy. If cold fusion were true, nature would (again .. I suspect) be performing it all day long. Interesting that Lacis doesn’t have a wiki page. Did he ever, or did Connolloy disappear him? Perhaps they are thinking of such peer reviewed literature as newspaper articles, magazine articles, Master and PhD theses and dissertations, Greenpeace articles, NWF articles, and WWF articles. Lacis is not a sceptic, he is appalled by the political agenda of the ES. This is a really heartening development, but Lacis may be just as convinced of AGW as Hansen, AFAIK. Haven’t read his papers. And some commenters here speak as if he was punished for his criticism. I don’t see that. Since we now know what “peer reviewed literature” is !!! AR4 ES. Is it just me or does everyone else read that as ‘ARSES’ ,now too? Leon Brozyna, note my comment above, this is from WG1 so it is using peer reviewed literature, no WWF magazines. But it is carefully cherry-picked literature and the results of it are exaggerated by the IPCC. Probably closer to the truth ………..
Lacis’s comment should be (or should *have been*) pasted across the front page of every mainstream newspaper concerned with spreading truth. The Executive Summary is a magnificent piece of environmental advocacy worthy of Greenpeace. I would like to congratulate the authors on the subtlety with which they have ignored science in favour of the clever construction of a political agenda. The editors also reject this comment from Andrew Lacis. “Anthropogenic warming of the climate system is pervasive. . .”? The quantity that is being measured is temperature (of the surface, atmosphere and ocean). Temperature has no identifying label that would make it possible to identify any given temperature change as being “natural” or anthropogenic” in its origin. The term “anthropogenic warming” is yet to be properly defined. In any case, it is hardly a scientifically credible description to be attached to observational data. Rejected. “Anthropogenic warming is both scientific and easily understood by decision makers and others. In our little town the “renewable energy board” has little understanding of the implications where AGW is concerned. They are just doing a “good” work. This should be a fun to rattle the cage over at Surreal Climate with. Bet it’ll get chopped everytime! “Do you trust climate scientists?” A fairly rational debate involving Philip Stott and Mike Hulme and a public phone in that was on BBC radio 4 today 9th Feb.
Perhaps I misread those comments, so I’ll go through the document again later today. It’s interesting what you can find if you read the reviews. So, although Dr. Lacis has quite rightly criticized the ES, we see Kevin Trenbeth arguing that chapter 9 doesn’t go far enough. ” ? The quantity that is being measured is temperature (of the surface, atmosphere and ocean). Temperature has no identifying label that would make it possible to identify any given temperature change as being “natural” or “anthropogenic” in its origin. The term “anthropogenic warming” is yet to be properly defined. In any case, it is hardly a scientifically credible description to be attached to observational data. Rejected. Anthropogenic warming is both scientific and easily understood by decision makers and others. I’ll see if I can find a way to pull all his comments. He sounds pretty reasonable to me. Disgraceful that such an eminent climatologist has been ignored by those pushing the alarmist propaganda at the behest of their pay-masters. Time the IPCC was shut down before any more damage is done. Just a thought. Perhaps we have a new headline in the making – Non-consensusgate? Dr Lacis also wrote this as comment no 58, showing more orthodoxy of belief as well as the same concern for the science. The scientific merit of the IPCC Assessment Report would be substantially improved by simply deleting this chapter. Understanding is a prerequisite before any credible attribution can take place. The chapter starts by putting the cart ahead of the horse – attributions are made left and right without ever laying a foundation to stand on. The objective of the Assessment Report should be to produce a clear and convincing documentation of climate change, and avoid becoming a punching bag for climate change critics and skeptics. The place to start is with the observed record of greenhouse gas increases. These GHG increases have physical consequences ie the GHGs produce radiative forcing that is driving the climate system to a new equilibrium. And, there is a global temperature record that verifies that that is indeed what is happening. If, for political reasons, this chapter needs to be retained, it should be rewritten as a synthesis of what has been learned in the earlier chapters, and moved to the end of the Report. If written well, “attribution” will become a self-evident conclusion that is based on the facts presented. And to whom are the scopers answerable? is widely known and appreciated by other climatologists. His association with Jim Hansen goes back to their historic 1974 paper on the atmosphere of Venus. Like all good scientists, he’s a skeptic, in the sense that he apparently deplored the presentation of even fairly well-supported scientific models/ideas/theories ‘as if’ they were settled fact “without having presented any foundation” in the Executive Summary itself. I believe his criticism should be interpreted in that light. If you were to question him, you’d find that, although differing with Jim Hansen on some few particulars, he is no “denier”, as should be obvious from his use of “only designed to annoy greenhouse skeptics” (which he certainly is NOT). Every sharp? The comment was written more than four years ago. Interesting, anyone else notice the “Confidential, Do Not Cite or Quote” at the bottom of the docs? They take a real effort to make it a PITA to pull content out of here, the comments are actually in a image format instead of text if you export them to PDF so you’d need a text recognition program (like what comes with document scanners) to actually get at the content. You can access the text of the document, but on my browser at least, it jumbles the comment and response all to heck. More lasting effects I hope. From the Guardian. The AGW scam will only be defeated if it is cut off at it’s source, namely getting rid of the socialist democrats who funded this fraud from the beginning. We first boot their non american commies rear ends out of office, then start an investigation into the money trail, which may well lead to the fraud of the century when it is fully investigated. We have every good scientist and researcher on our side. Everyone from Norman Borlaug to John Christy and from Freeman Dyson to Michael Crichton. Now add this guy to the list. Dr. Lacis has guts. Someone pat this guy on the back. Let’s hope that history shows that this guy was way ahead of the curve and saw the IPCC 4AR as it was, political propaganda and not science. Many of the comments I have seen by them seem to warn of not overreaching with what is being put into the report. Seems to me that he, unlike others, is very concerned about the line between science and advocacy. I think you’ll find that most here have respect and appreciation for good science, and good scientists even when there is disagreement. That said, when it comes to the behind the scenes behavior at CRU, the advocacy of the RC crew (a.k.a. Hockey Team), and the constant flood of bad sourcing and overreach by the IPCC… that courtesy is not extended, and I believe this is for good reason. By all means lets have the debate, let it be “robust”… but lets have it in the open and where the science is clear say so… where it’s not don’t cover it up. We need good scientists – even “warmists” like Lacis and Pielke Jr. to bring some sanity back to it. I would be interested in seeing an updated comment from Dr. Lacis considering the “adjusted” temperature records found to date. Looks a lot like the responses I read to Vincent Gray’s comments……however….can anyone point me to a reference to this comment by Andrew Lacis? I would like to read it for myself so it isn’t just “heresay” when I pass it on to a few of my die-hard AGW supporting friends and family. I agree with many of the comments here but I have more on the IPCC review process, with some focus on chapter 9, at http://mclean.ch/climate/docs/IPCC_review_updated_analysis.pdf. Connect that dot with Trenberth’s “and it’s a travesty” remark, and we have a consensus! Anthony, something you may like here. As I recall on that one, there was a sceptical geologist who was about to blow the whistle and accidently fell out of a helicopter to his death. Now I’m not certain that the two events were even in fact related, but awful suspiscious. When big money is involved, bad things happen to good people, even if it is just their grant application being denied by someone who has the power to do so and disagrees with them. That said, what is bothersome about this is that a lot of the science is so completely represented that it should not require a heavy duty researcher with 11 degrees to debunk it. A lot of what I see presented as science ought to be able to be debunked by a 2nd year engineering student. There ought to be tens of thousands of people at that level who have nothing to lose by standing up and calling bull. I read through same pages of comments and realized that 100% of sceptical comments were rejected, while opposite comments often lead to modifications. A statistical analysis of the comments and responses would easily demonstrate this bias. 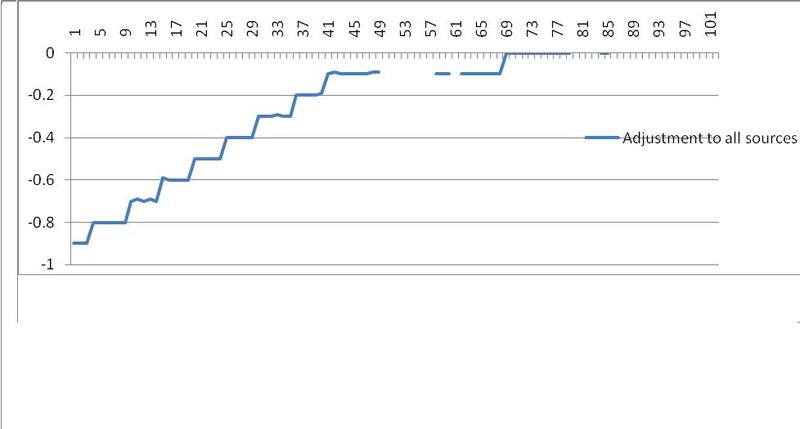 It may be still argumented about the quality of comments, however, the main point of such a statisitc would be to demonstrate that IPCC reports are essentially the product of a very low number of lead authors and the basic chapter 9 the work of possibly a low single digit number of individuals. Hooray for Andrew Lacis. Vincent Gray is becoming one of my heros, too. His comments on pages 3 and 4 of the review are priceless. Rejected, of course. Anyone know where a searchable text (Word or PDF) version of this report is located? And here is the link to the second order draft of chapter 9, printed seven months after the one with Lacis’s comments. I looked at many pages, but didn’t find any comments from Lacis this time around. I’m looking for a text searchable version. The Harvard format is absurd. You have the choice of image or completely unformatted (and unreadable) text. I would like to see a series of Word. HTML, or text files that I can concatenate, then search. Hey do you guys know (I’m sure by now) that Ads by Google is playing devil’s advocate on your blog? Has anyone counted how many reviewers have commented ? Names like Vincent Grey appear many times as a voice of moderation (promptly rejected of course). Vincent Grey’s remarks seems to make up a large proportion of the comments. Not surprising that Steve McIntire’s comment(s) (p153) are rejected. I would like to formally nominate this guy to be the next head of the IPCC. No – the geologist in question was Micheal de Guzman, who had been involved in the project from the very beginning. although suspisions abound, there is no way to know whether he was involved in salting the core samples. The property had been transferred to a joint venture with Freeport McMoRan (after some arm-twisting an manouvering by the Suharto government), and they had been doing due diligence on the project when de Guzman went missing. They must’ve been reasonably far along, because within a week of his death McMoRan announced that the property contained no appreciable gold. Whether he fell, jumped, or was pushed out of the helicopter has never been established, but under the circumstances, any of the alternatives is plausible, but none of them require that he intended to expose the scam, and there is every evidence that if he became sceptical of the reported gold values, he did so only very late in the game. In the header of the document page you can click on “view text” and you can “copy and paste” as usual…. being measured is temperature (of the surface, atmosphere and ocean). Temperature has no identifying label that would make it possible to identify any given temperature change as being “natural” or “anthropogenic” in its origin. The term “anthropogenic warming” is yet to be properly defined. In any case, it is hardly a scientifically credible description to be attached to observational data. It’s necessary to pay attention to the comment while copying ! Points him to the actual chapter. Take a look at Lasis’ publications. They all include an abstract & some a press release. If you want the references & the logical connections, read the paper. Another outrage that has nothing to do with the science. The nomination period is open from: 15 January to 12 March 2010. How likely is that skeptics points of view are taken into account in this review? But Garry…that is why IPCC was created in the first place. To support the thesis of AGW. True. The US Naval Research Lab has spent some time and money confirming the presence of high energy particles in non-radiative reactions. Nature did perform fisson for quite a while. But it doesn’t now at least as far as we know. But it does that only under very special circumstances. So as long as there is not a place where heavy water accidentally mixes with palladium crystals naturally it might just be that it’s not happening even though it might still be possible. Also consider what happens in a Farnsworth Fusor; fusion is not that hard to achieve. I wouldn’t be surprised if they can reliably demonstrate cold fusion. Having an energy surplus is the difficult part. you are in fact correct, I mean MISrepresented. My fingers are not properly attached to my brain. So what I am after is a few dozen high school students to proof read my posts, but I still need a few thousand engineers and physicists to stand up and say, yeah, I’m only in 3rd year, but I’m pretty certain perpetual motion doesn’t work. As each day passes, more of the sham is exposed. Why are the various authorities in the Western world not pursuing any of this to uphold the law and commonly-accepted ethics? Our governments have treated us citizens as idiots for long enough. It is no surprise that various governments whose ministers are former hard-line Socialists have been ‘dumbing down’ school curricula, especially in the hard sciences – the notion that governments desire a steady supply of pliable voters who can be bent to the will of their ‘elected representatives’ with little effort doesn’t seem so far-fetched any more. Most of those in their early twenties and younger have already been brainwashed by bad ‘science’ in schools and there is a lot of ground to make up in encouraging people to think for themselves from an understanding of first principles in any subject whatever. You are reporting on a disagreement about how to summarize the conclusions of the IPCC report, but are trying to infer a disagreement about the science. Lacis’ original comment was poorly worded. He did not give examples or say how Chapter 9 might be worded differently. To his credit he came back and clarified his concerns, as Lucy Skywalker stated above. I trust that some are making a catalogue of influential scientists and their positions on AGW for posterity with a special roll of the brave who didn’t bow to the established faith and risked blacklisting and cut-off of funds. Andrew Lacis may be in the AGW camp, but he deserves full respect for insisting that the science be clean of advocacy and politics. His stating that we don’t have absolute proof of anthropogenic induced warming means that he has left the door open for falsifying the hypothesis or for growing evidence of its truth. As a geologist, I see a few hundred years sample of the 4billion years plus as subatomic and meaningless in terms of identifying the warmest period or the range of variability possible. Coincidence for a few tens of years of rising CO2 and temp is not a correlation and indeed, the relation appears to be already falsifying itself since at least 2000. A commodity specialist years ago noted that the price of copper rose with skirt lengths in fashion cycles and this was over 75 years apparently. I wouldn’t trust it as a trading scheme over the next century though! Re the fall from the helicopter of a BreX geologist – this was a Philippino geologist on site who was very much inside the scam- he may have committed suicide. The million monkey theory of eventually creating something of great value by piling on more random attempts. Instead of fixing a leaking roof by removing the tin and replacing the aged tarpaper and rotted wood that won’t hold nails, simply place more tin over the affected area, nailing tin to tin. The process never changes: just make up more stories to bury the inconsistencies. Eventually, the place ends up looking like a dump and the roof caves in. Which is about where the IPCC is currently at. It is interesting how the disclosures are continuing to shift opinion. The Canadian national newspaper – The Globe and Mail – has, and largely continues to be, supportive of AGW views. There have been some cracks appearing however. On today’s (Feb 9, 2010) front page there was a mild article on Pachuri’s troubles. The best of all was the daily cartoon (http://v1.theglobeandmail.com/cartoon/) showing two polar bears looking at a global warming research station while holding a newspaper with the headline “Climategate”, one bear asks the other “Endangered Species?”. Also, Margaret Wente – a columnist for the Globe who was one of the first writers to break the Climategate story in Canadian MSM, recently hosted an online discussion about the recent climate change revelations (http://www.theglobeandmail.com/news/opinions/online-discussion-margaret-wente-on-climate-change/article1460602/) . I don’t think that this represents a change of editorial position at the Globe, merely a broadening of views that nonetheless is heartening. Really, I have too much to do with too many “crisis of the moment” things happening to have the time to generate enough proper disinformation for such a public profile. As it is, it takes a lot of effort to keep my listing as “harmless crackpot” for just my FBI profile. Forwarded to one of our more vocal newspapers, linked from here. Just staggering that all this nonsense has been allowed to fester along to this point. Because it was!!! He knew this long before it finally started coming to light in the last few months. But said nothing beside a review comment…. I saw this review comment and many others over a year ago. There’s a lot worse, including scientists being included in the list of reviewers of the document when in fact they made similar comments that the IPCC findings were wrong. The IPCC AR4 report is a sham and it must be debunked officially. The only way to do it is to take it to court and prove it’s a sham. It wouldn’t be that hard. Just need someone with money. I have no experience of the IPCC, but I have been a reviewer of another – more recent – ‘global’ scientific report and this is exactly what happened in this case. The report is the product of the chapter lead author(s) who have been hand-picked by the central players. Conflicting points – even with full references – are simply ignored. I even followed up some of the other references and pointed out that they did not support what was claimed – this too was rejected/ignored. I believe this is an exercise in social engineering as opposed to any kind of scientific review. The “peer reviewed literature” has become a magic enchantment for many people. They identify the publication in “peer reviewed literature” with the truth. The tons of nonsense including cold fusion that have been published in peer-reviewed literature don’t have to be enumerated. What’s funny is that sometimes the focus on the “peer reviewed literature” is promoted exactly by those who think it’s important for them to publish in “peer reviewed literature”, i.e. by those who keep on sending their papers everywhere until they’re accepted – i.e. by the bad scientists. Lacis is of course almost completely right about the executive summary. Except that he says that it is only “like” if it were written by green activists. I think that the ClimateGate correspondence shows pretty clearly that these things and strategies are actually being designed within intense communication with the green groups. The Bishop caught the comment. Did you? And I’ll bet BH doesn’t spell ever as ‘every.’ That’s not too sharp, is it, Herman? no identifying label that would make it possible to identify any given temperature change decision makers and others. be attached to observational data. Geoengineering, a Timely Remedy for Global Warming? The accelerated melting of Greenland ice is a clear indication that the consequences of global warming are real and impending. The underlying causes of global warming are well enough understood, but the necessary reduction of greenhouse gases to prevent irreversible climate change is unlikely to happen before the point of no return is reached. If a serious decision is made to reverse the impending sea level rise, geoengineering countermeasures may be required to counter the current global energy imbalance due to global warming. Of the many proposed remedies, deploying aerosols in the stratosphere offers the most realistic prospects. Sulfur injections into the lower stratosphere would have the cooling effect of naturally occurring volcanic aerosols, but black carbon (soot) aerosols in the middle atmosphere (40–50 km) offer prospects for more effective surface cooling than is possible with sulfur-based aerosols. Before contemplating the desirability of applying geoengineering countermeasures, a full and thorough evaluation of environmental impacts is required. Simply summarizes Chapter 9, does it? Well, that tells us all we need to know about Chapter 9 now, doesn’t it? Some of you have referred to Lacis as a “hero.” While I’m sympathetic to his not going public, why didn’t he? There’s nothing ultimately heroic about his PRIVATE commentary; if he really cared about the integrity of science, he WOULD have been yelling from the rooftops! Based on AR4SOR_BatchAB_Ch06-KRB-1stAug.doc [from Climategate files], I did a preliminary analysis of Briffa’s responses “on behalf of the chapter team”. He was the “chapter team” responder on 292 Comments. Of these, he Accepted (in full or in part) only 58. One paragraph [Page 29, Lines 40 to 51] had resulted in 37 comments from 8 Reviewers. Pls. see http://hro001.wordpress.com/2010/01/18/the-climate-change-game-monopoly-the-ipcc-version/ for details. During the course of my analysis [but not mentioned in the above, because I was planning to do a further post], I also found that of the 292 to which Briffa responded, 22 were from Vincent Gray. All 22 were rejected. 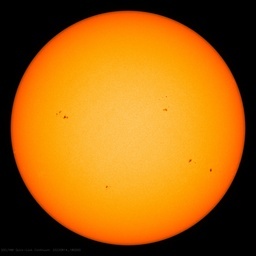 Andrew Revkin has responded at http://dotearth.blogs.nytimes.com/2010/02/09/does-an-old-climate-critique-still-hold-up/. He has quotes from Dr. Lacis and Chapter 9’s co-author. Basically, they say it’s much ado about nothing. Apparently, the Executive Summary was subsequently revised to Dr. Lacis’ satisfaction. Just one comment on LENR. There are enough well performed experiments, with replications of same, to show that excess heat, together with neutrons, He4, and Tritium are produced. There is no current theoretical basis for this, but there are a number of proposals. Time will tell. It doesn’t matter that the “Consensus” is that “Cold Fusion” doesn’t exist – reality is independent of our view of it. Eventually the full story will appear – IMHO – it will show energy production is possible. I’m not sure that the control mechanisms are going to be easy to create. Just my opinion. I’d love to know who the “We” are that reject such cogent criticism out of hand. Clearly the IPCC contorts the English language as much as it does the science. Dr Lacis BA Physics, MS Astronomy, PhD Physics – i.e. a real scientist, not a soft science weatherman! Boy, oh, boy…you can’t get worse than that. Oh the web we weave, when first out we attempt to deceive. It’s rotten to the core, this IPCC report, nothing but rot — garbage. There are several other Lacis criticisms if you skim through the document. The words “career limiting” sprung to mind after seeing all the scathing comments he wrote about this chapter. Perhaps he is positioning for director when the Lynch mobs get to Hansen? Sorry, hit “submit” too soon … What I had found was that there were a total of 1234 comments made by 75 Reviewers, 10 of whom were Govt Representatives. The paragraph with the highest no. of comments was the one I chose analyse – and it just happened to be the “hockey stick” paragraph. Andy Revkin’s post is up http://dotearth.blogs.nytimes.com/ and he has asked a reasonable question to which comes a reply from one of the authors, Gabriele Hegerl, – which to a lay reader is another reason for skepticism. Frankly, if these scientists cannot summarize in a paragraph how they distinguish man-made temperature from natural variation – they waste our time. Now we know a viable candidate to replace Mann at NASA. The U.N. IPCC AR4 report was peer reviewed by the worlds’ foremost “Climate Scientist” Nobel winner Dr. Pachauri. What more could you possiably want? So because Lord Stern is inept enough not to have current security on his e-mail scanner, and daft enough to open active content he wasn’t expecting to receive. then he has been targeted by some sort of conspiracy? Have I got that right…? The link takes you to page 17 of the comments. On pages 15-16, Lacis makes a more telling comment about the whole of Chapter 9 — not just the summary. Anyone bother to contact Lacis to see if he still holds the same opinion of the executive summary? An actual reporter, Revkin, appears to have gone where Watts fears to tread. That dreaded follow-up question which might undo a juicy “scandal”. And the chorus of howler monkeys follows along. As always. Eventually you folks will see how stupid Watts and his ilk are making you appear to be. Will you hold him accountable then? REPLY: Can I buy insurance from you for that? Seriously, I corresponded with NYT’s Revkin today on this story, I made no claims of my own, simply repeating what Bishop Hill blog pointed out. I simply put it into a larger forum where it got the scrutiny and assisted the reporter in getting the story right, as Revkin notes. I’m glad this caught attention: It should. The response was summary in the extreme and revealing of the mind set. “..Geoengineering, a Timely Remedy for Global Warming? Of course this is before I dug into the data and decided that we’re warming less that 1 C per century. More I look the lower the warming seems to be. I particularly like the ‘adjustment’ made to Mackay sugar mill station which implies that northern Queensland was frozen solid around the time of Christ. Totally rejected. Even the science is a mis-application of reality. IPCC says adding a GHG to the air results in warming (AR4 WG1 p116) However, Svante Arrhenius in his 1896 paper quantifying the GHE said that you MUST add an energy photon to a GHG to get GHE warming. Now since there is excess CO2 and Water vapor GHGs in the air, some put there whenever the temperature drops every night and the amount of the GHE reduces, thus adding more GHG to the air, then it stands to reason that if there were any more energy photons available they would be absorbed by the excess GHGs. But since that does not happen then we must assume that all the available photons are already in use by the existing GHE. In which case, if we add more CO2 to the air, it just sits there as excess. (see Excess CO2 Scenario at http://www.scribd.com) With no available energy there is no more warming. The IPCC and the computer models can’t do basic science. They mis apply the GHE. The simple proof is thsat when the water vapor GHG rises to 100% humidity, when it rains, we do NOT see a rising of the water vapor GHE contribution. And we are using this report to make billion dollar decisions? Easier than to use a OCR soft, isn’t it ? Well, I can think of several resons not to believe Revkin’s story. First, Lacis still has his job and probably wants to keep it. Second, Revkin is one of those people who “shades” a story by leaving out any contrary details – and he is a known AGW supporter. Third, the comments were clearly rejected and now we are asked to believe that they were subsequently accepted to Lacis’ satisfaction! By what magic method did the IPCC have an undocumented change of heart? And finally, the points Lacis makes in his review comments are a perfect match to what appeared in the final copy of AR4. He described it perfectly. No amount of whitewash after the fact can alter the obvious. When I first started doing my own research and educating myself, I jumped into a lot of “warmist” blogs. I soon learned that asking a tough question was how you get “snipped”, that a good argument got edited and then responded to out of context, or just a dismissive one word reply like “ridiculous”. On this blog the dumb and the clever questions get answered, the science is debated openly and dissenting opinions are posted in whole. Watts and his ilk are proving that even a howler monkey can learn to think for himself. Hey, how DO I get assigned a number? How come alot of the reviewers completely missed the mistakes lacis found? Why do feel it necessary to stoop so low with your words? Has it not sunk in yet that it was, precisely, this type of frothing abuse that fuelled the “‘sceptical'” revolution? The label warmist has a slightly insulting tone, but it’s too descriptive to avoid. I wish there was a better term to use too. For me it’s definitely not meant to be pejorative, like when we’re called “deniers”, but a better and more respectful term would be nice to find. Oops apologies for the embedding… will have to research what part of the link does that. Being a number depends on context. I’m OK with having a Howler Monkey number. Is 12 taken? I think it might have sparked a bit more of an interesting discussion if the substance of the “update” was posted in the original article. It fairly significantly changes your story that Dr. Lacis went from “The Executive Summary as it stands is beyond redemption and should simply be deleted” in 2005 to “I commend the authors for doing as good a job as they did” today. Don’t you think that’s worth at least a line in the original post, rather than just a blind link? The answer to “what does IPCC do?” was answered by Dr. Lacis today. “You get inputs from everybody, find any bugs, crank through and the science moves forward,” he said. I think that you’re right to insist on seeing evidence and understanding how decisions are made. That should apply when the conclusions agree with one’s preconceptions and when they don’t. I think last year a SPAWAR lab group announced they had detected actual neutrons in one of the table top fusion experiements by using plastic nuke badge material to detect it. Earlier, it seems that sensors which were thermally sensitive had been used show what was being thought to now be a false positive. There’s no question the badge material picked up neutrons rather than temperature and perhaps it’s related enough to the experiment to indicate neutrons from the experiment rather than perhaps neutrons from cosmic ray activity and/or natural radiation activities. It may turn interesting to see someday. then again, it might turn out like our Sun with sub milli-watt nuclear power generation per kilogram which is great for an extremely long lasting huge source of power but it fails a bit in the portability and size categories. What was snipped? I used the word “denier-gate” to describe the original post. And contemplations of suicide of the latter is evidence of either borderline or narcissistic personality disorder. Reading Jone’s emo replies to Daly’s incessant logic [thanks for the link, Smokey]…then well, the evidence is clear. Beyond Jones….above the sickening noise of the IPCC, Lacis’ commitment to the SM and logic is refreshing. Sort of reminds me of the many cogent people on this site. May the truth win out. That’s what its all about, right? Could not have said it better david – I had the same experience and I must say to the AGW (like A3K) ilk that it was your arrogance and unwillingness to debate which was your undoing. That drives good people with common curiosities to question what your selling. NASA should stick to space flight. It’s global warming alarmism is politicizing the agency, stifling debate and intefering with legitimate scientific research as is documented in this Examiner.com story published late Tuesday. I have a suggestion for you. But it would be snipped. ‘A former NASA contractor whose theory demonstrating that the greenhouse effect is constant and self-regulating and that increases in human CO2 emissions are not the source of global warming is fighting an uphill battle to publish his controversial work. Published in 2007 so it may have come and gone on this board. Sorry if it just ‘old hat’. Saying in effect, ‘One gets inputs, finds bugs, cranks through and the science moves forward’ may fill in blank space on a page. But it answers nothing, refutes no prior conception. Crank through and move forward? First, the man faces poverty if he does anything other than blow smoke around his prior words. Words which were termed “old” by your so-called reporter. Naturally someone representing the trillion dollar climate industry put out a flowery explanation of how it couldn’t possibly be true, he really meant such and such. Look how many ridiculous errors have been found in the Nobel Prize winning document already, and no one has even gotten through the whole thing yet. This report has been out for years and no one from the great NY Times or Washington Post could be bothered to read it. It’s over. Is Bruce Willis in that? ..and changing the structure of their budget by redirecting funding from space to study climate change. Another causality of this AGW movement. Whenever I read the word “robust”, I think of Kama Sutra May in Return to Almora. She was quite robusty. And superb after meditation. But there actually is something to cold fusion. If the man says something that agrees with your preconceptions, he is “heroic” and “committed to the scientific method.” Yet if later he says something with which you disagree, he is doing it for the money. You start from a conclusion, seize upon anything that supports your conclusion and discard everything that doesn’t fit. Isn’t that EXACTLY what you accuse “warmists” of doing? It sure sounds groundbreaking on so many levels! Maybe worth an independent post? Indeed? It was precisely this type of “frothing abuse” from AGW fanatics that fuelled my trip into scepticism to find some measure of reason and sanity on the AGW question. I remember the first time I looked at surRealclimate (seeking, as a layman, unbiased information!). It was more like a medieval witch manual than science. With you AGW guys, disagreement only results in abuse and/or dismissal, intolerance, bluster, threats, finger waving. At places like WUWT, reasonable views of ALL types get a hearing and I’ve yet to find any abuse except from characters like you. And don’t get me started on accountability …..
Has Dr. Lacis spoken publicly about his reservations over the IPCC Fourth Assessment Report, if not, could he be persuaded to? I find this interesting because it suggests that the effects of solar are not fully understood and that the long term sensitivity to solar may explain a greater portion of the 20th century warming then it is currently accredited with thus indicating a lower climate sensitivity to more recent forcings. Granted, it is obvious he does not believe this to be the case. Ok. Steve. Now you’re scaring me. You’re telling me that the President of the United States of America endorses razing cities to the ground and blowing up dams even if it means sabatoge? Where I come from that is lawlessness. The peer review process has been turned into tyranny by (likeminded, self-appointed, self-credentialing, self-serving, grant-monopolizing, gatekeeping) committee. I THINK that was just “12 Monkeys”. If Bruce wants #12 I can choose another one…. I don’t understand your need to apologize in advance. “This guy” is an insider and now “this guy” is a whistle blower. That false comparison of “mainstream” and “skeptic” should be put in the back of the word armory, at least with respect to AGW, where the qualifications of opponents are at least as good as those of the proponents. I believe there were several posts about Miskolczi on WUWT. For example, see http://wattsupwiththat.com/2008/06/26/debate-thread-miskolczi-semi-transparent-atmosphere-model/. Critics in the AGW camp claimed Miskolczi made several fundamental mathematical errors and, in my opinion, presented a strong case. If Miskolczi issued a rebuttal, I never saw it. Responding to a few of the comments here: The cold fusion effect has been independently reproduced in hundreds of labs, in thousands of experimental runs. Roughly 3,500 papers describing these replications have been published, including hundreds in the peer-reviewed literature. The effect sometimes produces far more output heat than input energy, and with gas loading there is no input energy; it is all output. Cold fusion has produced far more energy than can be explained by chemical reactions. Devices weighing a few grams have produced up to 300 MJ, which is the amount of energy 7.5 kg of the best chemical fuel can produce. The upper limits are not known but it is likely that cold fusion can produce millions of times more energy than any chemical fuel. Operating temperatures and power density as high as the core of a fission reactor have been achieved, so if the reaction can be controlled it will become a practical source of energy. Cold fusion has not been developed into a practical source of energy until now mainly because the research cannot be funded in the U.S. because of academic political opposition. This opposition is not a conspiracy; i.e., it is not secret or organized. It is openly practiced and unorganized. Opponents have published many books and articles in the mass media describing their views. See, for example, Huizenga or Park. There is more funding and mainstream support in China, Japan and Italy. In October 2009, a major cold fusion conference was sponsored by the ENEA (the Italian National Agency for New Technologies Energy and the Environment), the Italian Physical Society, the Italian Chemical Society and the National Research Council (CNR). In November 2009, U.S. Defense Intelligence Agency released a report on cold fusion calling for more funding in the U.S. You will find a copy at LENR-CANR.org. Regarding the notion described here that cold fusion is mistaken or nonsense, that is ruled out. If an effect widely replicated at high signal to noise ratios could be mistaken, the scientific method itself would not work, and we would still be living in caves. A small number of experimentalists have sometimes been wrong, but thousands of scientists repeating an experiment thousands of times have never been wrong, and never will be. I can only speak for myself, but when you look at all the bad things that allegedly will be caused by global warming – http://www.numberwatch.co.uk/warmlist.htm – I’m not sure how anyone can say with a straight face that this is all based on solid science. Like many others, I am here because my BS radar went off too many times with the likes of Gore, Patchouli, the RC crowd, etc. I will cheer any scientist… even a “warmist” (for lack of a better term) who has integrity – in the Feynman sense of the word… which means they are forthcoming on the good AND bad of their findings. Despite being labeled a “denier” more times than I care to think about, and despite not ever having receiving my long awaited cheques from “Big Oil”, I think there is a likelihood that CO2 causes some level of change in equilibrium temperature… but at the same time the extraordinary claims of “[we know everything and have managed all uncertainty in our models]” of the RC/GCM crowd, or constantly escalating apocalyptic predictions, do not seem to have the extraordinarily solid proof behind that should be there for any genuine scientist to sign their name to it. In his comments Lacis seems to warn against overreaching, and in hindsight he seemed to be spot on. I don’t think that’s necessarily being heroic – it’s not like he fell on his sword and lost his position over this – but his comments seem to paint him as someone who is more concerned about scientific integrity than politics, and for that I DO applaud him. So “peer review” of the IPCC report comprises 75 people, not all scientists, with any comments contrary to the political line being rejected. Lacis’ comment was for a 2005 first order draft of the ES, not for the 2007 ARA4. Indeed, the reviewers comment immediately preceding Lacis’ generated a response that the ES was revised. One expects more intellectual honesty and fact checking from WUWT. Or do we? Any chance we might get an update to the update here with the link to Lacis’ comments like you just posted in the new article? The most severe criticisms of my IPCC review were leveled at this political consensus aspect of the IPCC report that tended to spill back unto how the science was being described and presented. More on this topic later. A variable optical density atmosphere sounds like an elegant system of temperature control not unlike other elegant natural systems e.g. photosynthesis. It’s the Royal We, the one one’s ruler adopts in addressing one’s subjects. I’m not sure how anyone can say with a straight face that this is all based on solid science. No, but that’s a fallacy of composition. Your list grabs things from the popular media (the “acne” entry led to someone’s blog filled with airy assertions about how climate change will affect your skin) as well as scientific studies and acts like they’re all equal. Like many others, I am here because my BS radar went off too many times with the likes of Gore, Patchouli, the RC crowd, etc. And here again, you’re conflating different sorts of people and saying they’re all the same. Gore’s not a scientist, and I’m assuming that by “Patchouli” you mean Rajendra Pachauri, who’s also not a scientist. “The RC crowd?” Does that refer to the Real Climate blog? Both sides commit the error of taking the worst arguments of the other side and saying it represents the whole. Some, but not all supporters of the scientific consensus view do so ofpreconceived notions about capitalism and industry, and use it as a justification to advance an agenda. Some, but not all skeptics (or realists, or whatever term you prefer) take that view because it supports their political views about the government and academia. Neither group helps their side of the debate. But neither group should define the debate. There is a clear distinction between those pushing the CO2=AGW hypothesis, and scientific skeptics [the only honest kind of scientists, period]. Skeptics ask [unanswered] questions. And skeptics have nothing to prove. It is the alarmist crowd that stonewalls when asked for their data and methods, because they have plenty to hide. There is right and wrong in this debate, and the climate alarmists have a corner on wrong. Smokey, I agree about alarmism and skepticism. However, not all people supporting the consensus are alarmist, and not all people questioning it are skeptics. Both groups have unscientific ideologues who are hijacking the debate to further an agenda. I’m aware of my biases, and I try to correct for them as I’m learning about the subject. That’s what I’m doing here, in part: looking for the holes in the consensus position and trying to see both sides of the debate. What’s unhelpful is when either side says “all of the people who don’t believe as I do have an ulterior motive.” Yes, many do, and those are the loudest voices in the media. But I try to ignore the media circus and am looking for the serious, scientific voices on both sides. Every group of any size has ideologues. That is not the point, and it appears to be an attempt to re-frame the problem. The AGW hypothesis states that a rise in human emitted carbon dioxide will cause runaway global warming and climate catastrophe [CO2=CAGW]. That hypothesis is the basis for the entire “carbon” industry, supported by the jaunts of thousands of taxpayer funded agendized bureaucrats to Bali, Copenhagen and other fun locations, all with marching orders to sell their proposals to give the UN supra-national authority at the expense of Western taxpayers. It is also the goal of those using the “carbon” scare to enrich themselves through the scam of carbon credits, and to transfer enormous new taxes to the UN [in the form of the UN’s proposed .7% annual World Tax on GDP, to be paid into the opaque and unaccountable UN – with almost all non-Western countries exempted]. Those are facts, which have been discussed here in detail. On the other side of the debate are scientific skeptics, who want full access to the data, methodologies, code and algorithms that the CO2=CAGW hypothesis is based on, in order to try to falsify the hypothesis. Whatever is left standing is accepted as science, and is on its way to becoming theory. The scientific method requires that those putting forth a new hypothesis must fully cooperate with other scientists and interested parties in attempting to falsify the hypothesis. The proposers of the hypothesis have the same responsibility to try and falsify their own hypothesis, because the goal of the scientific method is to arrive at scientific truth. Instead, the purveyors of the AGW hypothesis turn the scientific method on its head, and demand that skeptics must prove their position. That is duplicitous; skeptics have nothing to prove. They are simply skeptics regarding unproven new ideas. If you are serious in your search for the truth, you have no choice but to demand that all data and methods [including all raw data] must be promptly provided to the skeptics’ side in a transparent and cooperative manner. If the raw data no longer exists, the holders of the new hypothesis must start over, by collecting new data – with the oversight of skeptical scientists. But rather than cooperate with skeptical scientists, the climate alarmists deliberately connive to stonewall requests for data, and instead, they tell everyone to trust them. That is exactly what Bernie Madoff did. We do not trust people who hide the truth, and who invent entire temperature data sets and pass off their fabrications as legitimate raw data, and who are paid enormous sums by outside NGOs and quangos with a heavy pro-AGW agenda, while putatively being in the employ of the taxpaying public. None of that is honest. There is no similarity between the climate alarmists and skeptics, none at all. The alarmists have shown themselves to be dishonest; corrupted by money, status and power, and by their absolute refusal to follow the scientific method. Skepticism is a principle requirement in science. Without it, we would still be going to witch doctors to treat diseases. Until the purveyors of their alarming hypothesis completely “open the books” to the public that employs them, they remain dishonest. And anyone who defends that dishonesty by comparing skeptics with them has an agenda. As a layman, one thing I have observed since Climategate is that all of the 4 major datasets appear (from my reading) to be grossly manipulated, massaged, and hence corrupted. I am not even sure how any (allegedly) serious scientist can apply such apparent credence to these second and third order “climate proxies.” It is quite shocking. Smokey, I made it clear that I believe that there is “no similarity between the climate alarmists and skeptics.” I also believe that there is no similarity between skeptics and people who are using the debate to further a political agenda independent of the science. People on both sides of the debate have agendas. For you to suggest that only one side is flawed, while the other side is motivated by purely noble ends is disingenuous at best. Your assertion that raw data is being hidden is somewhat bizarre. I’m only left to believe that you misunderstood what happened at CRU to mean that somehow all climate data everywhere had been modified and/or destroyed. This is simply not true. Many people in different places are studying the climate, and they are working from different data sets, most of which are public records. Historical records are available at http://www.metoffice.gov.uk/climate/uk/stationdata/ and ftp://ftp.ncdc.noaa.gov/pub/data/ghcn/v2, also at http://dss.ucar.edu/datasets/ds570.0/ Sea surface temperature data is available at http://icoads.noaa.gov/ . You are absolutely correct that science requires the open sharing of data. This happens all the time. I’m not sure why you’re asserting that it isn’t. In the case of CRU, they’re being investigated for their failure to comply with what the UK government ruled were legitimate FOI requests. That is one case. Are you saying that there have been others? Can you be specific? I am tired of hearing all of this pseudoscience. The complex non-linear dynamic system that it is, long term climate prediction is simply impossible. If there is a problem, which we can’t say, our only hope is climate control. Climate has many variables (solar activity, volcanic activity, orbital variations of the planet, CO2 atmospheric concentrations etc.). Of these sets of variables the only one we can possibly control is CO2 concentrations. For this there is no consensus on the sensitivity of climate to this variable. Even if it were significantly sensitive, it is the only one we can control. To put this in simpler terms it would be like trying to drive a car (which has many control variables) when all that you can control is the accelerator (no brakes, no steering wheel). Control also requires accurate short term predictive models (turn the wheel right the car goes right). That we don’t have that is dramatically demonstrated by the deception attempt by climate scientist, the car went right when it should have gone left, and they tried to pretend it was going right even to the point of trying to silence occupants seeing it going left. So they are not really in the drivers seat, the question is should they collect a fare from each passenger, grossly enriching themselves nevertheless? That is the question? That’s a very confident statement, but there’s no support for it. The climate is non-linear, absolutely true, but most of it can be described by equilibrium radiation physics: the Earth-atmosphere system absorbs and emits radiation in a predictable way, and far outweighs the effects from the Sun, volcanoes etc. These variable inputs cause a small amount of chaotic behavior compared to the deterministic, predictable greenhouse gas forcing over the long term. No consensus on the upper limit, no. It’s pretty clear what the lower limit of the sensitivity of global temperature averages to a doubling of CO2 in the atmosphere. Annan 2006: 2.5 to 3.5°C. Royer 2007: not lower than 1.5°C (with a best fit of 2.8°C). Lorius 1990: 3 to 4°C. Hoffert 1992: 1.4 to 3.2°C. Hansen 1993: 3 ± 1°C. Chylek 2007: 1.3°C to 2.3°C. Tung 2007: 2.3 to 4.1°C. Your assertion that raw data is being hidden is somewhat bizarre… You are absolutely correct that science requires the open sharing of data. This happens all the time. I’m not sure why you’re asserting that it isn’t. In the case of CRU, they’re being investigated for their failure to comply with what the UK government ruled were legitimate FOI requests. That is one case. Are you saying that there have been others? Can you be specific? Raw data is being hidden/destroyed. CRU admits this, and provides a lame excuse for their negligence and deliberate malfeasance. And “one case”?? CRU is being investigated for ignoring more than 100 FOIA requests. The Climategate emails show conclusively that they have subverted the FOIA officer, who never bothered to ask for the data requestors’ input. Despite your assertion, the willing and open sharing of data rarely if ever occurs in government and IPCC climate ‘science’. Since you’re new here, you can be temporarily excused for not knowing the background of this corruption. It is clear that you have been fed misinformation. I suggest you get up to speed on the facts by reading the Climategate archives here, starting last November. Click on “Climategate” at the top of the page. 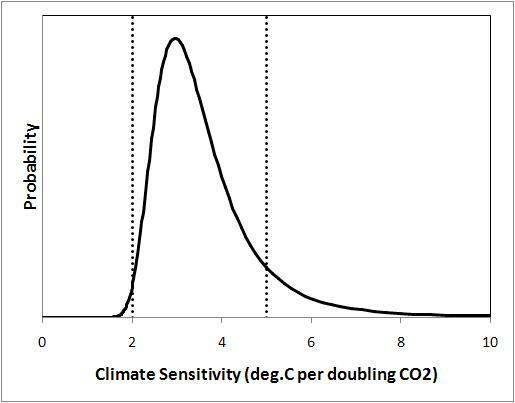 Finally, regarding the climate sensitivity number, the glaring omission in your list is that of the internationally esteemed Prof Richard Lindzen, who heads the department of Atmospheric Sciences at MIT. Dr Lindzen gives the sensitivity number at somewhere between 0.5 and 1.0. Prof Lindzen has probably forgotten more than the others on your list have ever learned. Why do I say that? Because the planet itself verifies Lindzen’s numbers: as beneficial CO2 steadily rises, the planet has been cooling for most of the past decade. So who are we to believe, those with a vested financial interest in alarming scenarios? Or planet Earth? Anything at or below a sensitivity of 1.0 means that the effect of CO2 is so insignificant that it can be completely disregarded as inconsequential. That fact threatens a lot of people’s grant income, so naturally those who are ethically challenged will exaggerate the climate’s sensitivity to CO2. As you can see, the UN/IPCC feels that it must artificially exaggerate CO2 persistence. Their case falls apart otherwise. So they simply make it up as they go along. That is not science, that is advocacy of their self-serving position. Those who follow the Best Science site on the internet know about these shenanigans. Rather than come here chameleon-like and futilely try to convince us that down is up, black is white, evil is good, and global cooling is caused by global warming, try to adhere to the scientific method. By doing so, you will eventually understand that the IPCC and its sycophants are trying to sell everyone a pig in a poke. That doesn’t fly with the intelligent folks who follow this site. And the public is also starting to see that AGW is a financial scam that makes Bernie Madoff look like a piker. Andy Revkin has a follow-up article in his NYT Dot Earth blog this morning. http://preview.tinyurl.com/yeklbz4 Lacis now appears to be confirming what most of us suspected all along. Ok, you get to keep your job. But someday pleasse explain how they could present the case “more forcefully.” They had no case. I asked “Are you saying that there have been others? Can you be specific?” Your response: “the willing and open sharing of data rarely if ever occurs in government and IPCC climate ’science’.” Simply repeating the same assertion just won’t do, nor will condescending remarks like “Since you’re new here, you can be temporarily excused.” I am asking. Please be specific. If you can. Please also provide support for your assertion that “the planet has been cooling for most of the past decade.” I am interpreting your use of the word “planet” to mean “planet:” that is to say the ocean and atmosphere as well as the land. Finally, I’d just like to fully understand who are the people you believe has “a vested financial interest in alarming scenarios.” Are you asserting that each and every scientist that I cited – including all the graduate students that worked on those projects, and, presumably, each scientists who reviewed every one of those studies – has a conflict of interest, and is actively distorting data to yield a predetermined result? What support do you have for this notion? For someone who claims “skeptics have nothing to prove,” you certainly do make a lot of assertions. Actually, that’s not far from the facts and it doesn’t take much to understand why. AGW became a meme in the research community. It was a gold mine, provided that your hypothesis was in support. Professors need grants to keep their jobs so they can write papers that get accepted and they can get more grants and grad students into the loop. Grad students quickly pick up on how they are being judged. Then there is “peer review.” All the evidence points to a very small group of believers doing reviews in a small number of journals who all scratched each other’s back. In addition, they actively collaborated to keep contrary views out of print. They were not completely successful, but the evidence is all there, both in the Climategate emails and in testimony by solid academics who had a lot of trouble with anonymous peer review when they tried to present contrary evidence. This is not some vast conspiracy. It’s human nature to follow the path of least resistance. But it is bad science. The alarmist contingent routinely stonewalls legitimate requests for data and methodologies. There are numerous examples of this, both in the WUWT archives and in the leaked CRU emails. I am not going to do your homework for you. I’ve pointed out where you can find that information, if you truly have an interest in learning about it. I also provided a chart showing that the planet has been cooling since 2002: click. 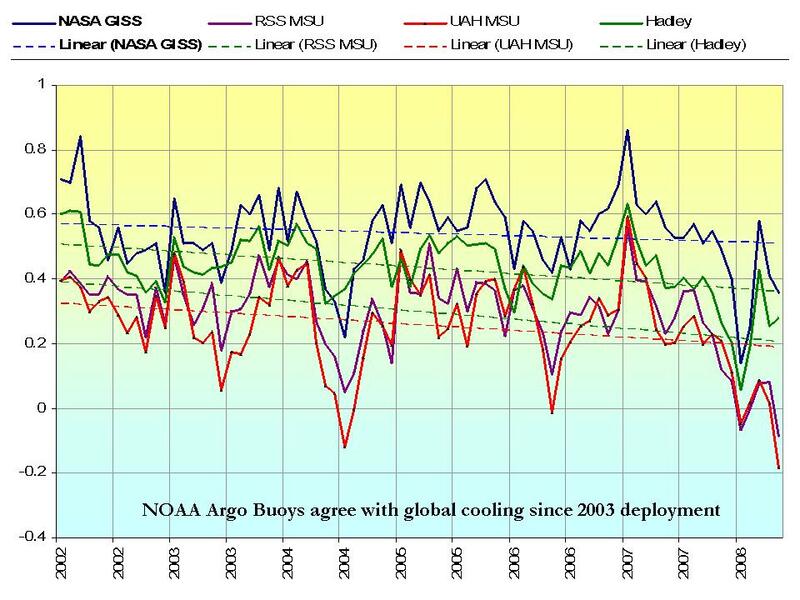 Notice that NASA/GISS, and both satellite records, and HadCRU all agree that the planet has been cooling for most of the past decade. In addition, the 3,300 ARGO deep sea buoys show that the ocean has been cooling during the same time period. Those records cover both the land/ocean surface and the atmosphere. The fact that government grants to ‘study global warming’ have totaled more than $50 billion over the past decade [compared with a few tens of millions for skeptical studies/rebuttals] show the vested financial interest in promoting alarming AGW scenarios. How could it not? If you want pigeons, throw out bird seed. If you want pro-AGW opinions, throw out $billions. It is a fact that, per the scientific method, skeptics of a hypothesis are not required to prove anything. The burden is entirely upon those proposing their hypothesis, to show that it explains reality better than the established theory. In the case of AGW, the CO2=CAGW hypothesis must show that it explains reality better than the long established theory of natural climate variability. It fails, primarily because it cannot make accurate predictions. Conversely, no one has falsified the existing theory of natural climate variability. Further, there is no empirical [real world] verifiable evidence showing that a quantifiable increase in CO2 results in a specific global temperature rise. Climate alarmists must show evidence supporting their claims, but such evidence is extremely rare. The entire AGW edifice is fueled by grant money. But after tens of billions of taxpayer dollars spent, I note that the planet’s climate remains benign, and is well within its long term parameters. Nothing out of the ordinary is occurring, and more public spending on AGW is an unconscionable waste of taxpayer resources. Are you joking Mr. Ash? What exactly is it that you’re looking for that is apparently so elusive to you? Are you looking for the detailed rundowns of Dr. Rajendra Pachauri’s extensive financial interests as published in a variety of major newspapers over the last three months? Are you unaware of Al Gore’s extensive financial and business interests which are dependent upon the existence of AGW? Have you looked at the membership of either the Chicago Climate Exchange at http://www.chicagoclimatex.com or the European Climate Exchange at http://www.ecx.eu? Have you spoken with any university researchers or faculty in the last decade or two? Have you ever watched the documentary The Burning Season which is very much a pro-AGW film but which unintentionally reveals the gold-digger impulse behind all “carbon trading” schemes? You say ” skeptics of a hypothesis are not required to prove anything.” I am skeptical of your claim that scientists are hiding/distorting data. By your own words, it’s incumbent upon you to support your case. It’s not my homework, it’s yours. The data on cooling since 2003 is interesting. I’m going to study it more fully so that I’m sure I understand it. I’ve noted that there have been short term cooling trends within the long term trend of warming temperatures: 1981 to 1987 showed a similar trend. Still, weather balloons, satellite measurements of lower atmosphere temperatures, sea surface temperatures, ,a href=”http://www.ncdc.noaa.gov/paleo/globalwarming/pollack.html”>bore hole reconstructions and ocean temperatures all show long term warming trends. What do you think short-term cooling inside a long-term warming trend indicates? Also, there’s been more than one ARGO buoy study. The Leuliette study from 2009 looked at the exact same data set and showed slight warming, not cooling. Eric Leuliette notes the main difference between his study and an earlier Willis study showing cooling had to do with the fact that the Willis study relied more heavily on early ARGO data, when there were fewer buoys. There are known issues with the ARGO floats, and a later Cazenave study used ARGO data corrected with satellite gravity measurements, and got results similar to Leuliette. Are the later studies wrong, and the one you cite correct? I would imagine that would be your assertion. On what basis? Different studies will show different results, because of the experimental methods used, and of course the possibility of error. How then are we to come to an understanding of what is going on? I think it’s a mistake to rely on a single study. When multiple analyses of the same raw data show similar results, it’s an indication that the science is zeroing in on a root cause: the concept of consilience applies here. That is my approach. What is yours? How to you suggest we resolve contradictions between different analyses? if you say “studies are not evidence – they are opinions that can be, and usually are, falsified,” then what method should we use? Didn’t you just quote a study to me in support of your argument? I’m concerned that you and I may not be using the same definition of “asserted.” Do you understand that merely making a statement like “If you want pro-AGW opinions, throw out $billions” does not make it so? Again, using the standard you yourself claim to adhere to, this hypothesis must be backed up with facts and evidence. What exactly is it that you’re looking for that is apparently so elusive to you? Evidence that every climate researcher – from Ph.D’s on down to grad students – and every reviewer is in it for the money. That’s what you’re asserting about not just some, not even most: but every researcher with whom you disagree. Merely asserting a thing doesn’t make it so. I am a “skeptic” in this regard. It is your hypothesis, and it is up to you to prove it. Hold yourselves to your own standards. Nonsense. The hypothesis here is not whether the globe is, on average, warming. Most people would agree. In fact, it has been warming since the last ice age, ~10,000 years ago. There have been periodic small reversals and, if geologic history is any guide, there may soon (geologically speaking) be a dramatic reversal as we plunge toward another ice age. The issue is whether or not climatologists have proven there is a significant component in warming that can be attributed to anthropogenic CO2. If there is, Mother Nature is keeping it very quiet. That’s why the alarmists have to fudge the data (hockey stick) and put phoney parameters into the models to make it look like a stronger effect than it really is. Ok, I know that Wikipedia is not always reliable because William M. Connolley tweaked so many entries in favor of AGW, but the chart there appears to have minimum tampering. However, I have never seen any discussion of whether this area of England is affected by increasing Urban Heat Island effect. Bottom line, if you can find a chart that suggests temperature began to increase when CO2 began to increase and it accelerated in proportion to the acceleration in CO2 release, look very, very closely at how that chart was constructed. The original data and all adjustments must be made available to the public or the chart has no credibility. I have never seen one that stood up to scrutiny. More assertions. “Skeptics ask [unanswered] questions.” Mine remain unanswered. You are doing exactly what you accuse “warmists” of doing: cherry-picking the research that supports your pre-determined conclusion, and discarding anything that doesn’t fit. That is a verifiably untrue statement, and people who invent words for others should remember that it’s easy to fact check here. Ash is a crank blinded by cognitive dissonance. No matter how many facts are presented, he simply moves the goal posts like so many in the warmist crowd do, pretends to ‘study’ graphs provided that clearly refute his alarmist position, and re-states the words of others to mean something different – a straw man argument – and then knocks down the straw man. We’re on to that kind of misrepresentation here. To put the goal posts back to their original position: the AGW hypothesis states that increasing anthropogenic CO2 will lead to runaway global warming and climate catastrophe. But there is no empirical evidence presented. Skeptics say, if that is so, then show that an X increase in CO2 causes an X increase in global temperature. That is what must be demonstrated, or the hypothesis falls to the level of conjecture. Spending $Trillions on an unproven conjecture is lunacy, and the onus is on those proposing such a lunatic idea to defend it; skeptics have nothing to defend, because skeptics have nothing to prove. Smokey, you have dismissed climate research by saying it is influenced by money. Not just some of it: all of it. If you are now saying that not all researchers are corrupt, then you are saying some of the research is valid. You simply cannot have it both ways. CO2 is rising in the atmosphere. I hope that’s beyond dispute. Satellite and surface measurements find less energy is escaping to space at CO2 absorption wavelengths. Ocean and surface temperature measurements find the planet continues to accumulate heat over a timeline of decades. If you reject this line of evidence, please explain why, and what you would accept as proof – or disproof – of the anthropogenic climate change hypothesis. Calling your interlocutors names like “crank” is a schoolyard way of engaging in debate. I’ve been civil and courteous, and I see no reason why you can’t do the same. But Mr. Ash, the climate was warming BEFORE the industrial revolution at the same rate. What on earth makes you think it’s related to CO2 and Armageddon? So if that is not a mistake, please provide a retraction or an apology or both. Garry, read my response to Smokey. You both attempted to invalidate climate research by saying scientists had “vested financial interests” in pushing the anthropogenic hypothesis. If what you meant was “only some do,” then in what way does this possibly refute all climate research? And if it wasn’t an attempt at refuting all climate research, then why did you bring it up in the first place? What a surprise, another assertion. No surprise at all. It simply means that you never bothered to go to the link that I gave you at 10:11:42 today. That goes a long way in explaining why you never learn anything. The link, if I must spoon feed you, has a chart of thermometer readings in central England from 1669 to 2007. In case you were not listening in History 101 either, the industrial revolution is generally considered to have started in 1800. CO2 has increased at an accelerating rate since then. There is absolutely no sign of any accelerating increase in warming (CO2 signal) in that chart. The measured temperature increase is a relatively steady 0.26 degrees Celsius per century, less than half a degree Fahrenheit. Now stop being such a jerk. Not only do you not read the science, you don’t read the sources you provide for your own arguments, and then presume to lecture me for not reading them. I was actually embarrassed for you when I read your response. OK, I wasn’t clear about the Warm List. Does it all reference peer reviewed science, probably not, does much of it… yes it does. The point I was trying to make here is that Pachauri, as a PHD and referred to as a leading climate scientist (I’ve never seen him correct anyone on it, but at the very least he holds the mantle of representing scientific consensus in the form of the IPCC reports), and the RC crew have never spent any time that I have seen, distinguishing what they consider to be solid science verses the crap. They will come flying, fangs out, like spider monkeys attacking anything that they consider skeptical and have, many times, applied the label of bad science to things that really turned out to be pretty good science… but when it comes to bad science that supports the CAGW (even some of the non peer-reviewed stuff that made it into the IPCC reports) the silence has been deafening. So to summarize… I see the point you’re making and agree. At the same time, the most recent Lindzen paper was first critiqued on this site by Roy Spencer, which, majority speaking, covered the same points that the RC crew later raised with it. Maybe I’ve just missed all the times Gavin, Jones, and Mann have gone after poor pro-CAGW research. If you can point me to some I’d be interested to see. Wow, sorry for the formatting there – did not mean to bold the whole thing! Mods any chance you could help a brutha out? No need to be embarrased for me. You have enough to worry about. Since it’s clear that you know nothing and have no ability to think logically, I resign from my unpaid position as your tutor. Please put on your pointy hat and go sit on a stool in the corner. By the way, I don’t believe for one second that you read that reference until I repeated it, then you frantically went looking for some miniscule point. Sorry, but you didn’t find it. To Mr Paul Daniel Ash. You claim to be interested in learning. Fine, but it does not seem that you respect any answers you have been given. You gainsay the data and refuse to recoginize established facts. If you really want to learn than you must study. But, be carefull. If you study junk science all you will have is the ideas of fools. On the other hand if you study the truth your opinions might just change. We respect intellegent and well reasoned opinions. Open your mind. I suggest you start by rereading your own posts. They do you no credit. You announce yourself as closed minded and unwilling to fairly consider contrary opinions. And you probally think you are comming accross as open minded and reasonable. Your posts are neither. You do not seem to be aware that it is clearly documented in the climate gate e-mails, news and blogs, that numerous freedom of information act requests for information laws have been broken by AWG climate scientists. Where have you been? Under a rock? Intentional ignoracnce makes an awful agruement. Tell me how do you deal with the fact that number of surfact tempature measurement points have been selectively reduced? That fact is not in dispute. However, if you wish to further show your ignorance by disptuing it go for it. To me, it is inconceivable that in a period of time when global warming research is at an historical high, When we are told that the whole world is in peril, that the number of used tempature measurement would be in a staggeraing decline. This is not due to lack of money for research. Nor is it due to lack of need. Only a fool would think we do not need better data. (Or perhaps a fraudster) Anyone who claims that more surface tempature data points are not needed, and also claims the AWG is a serious concen is lying. To claim that statistical analysis can fill in the missing data with reliable accurcary is simply stupid. There is no lack of money. There is no lack of need for good unbiased data. But, the powers that be will spend billions for analysis of data and only pennies for data? The only logical conculsion I can reach from these facts is that the data is not important to decision makers. It is mearly a cover for political activities. They are interested in apperance, presentation and public image, but not science. By your posts you identify yourself with this crowd. Can you actully deny the need for addtional raw data? Are you that anti-scientific? If there was any real interest in finding the truth on the part of the AWG specualtions we would be buried in data. There would be no need for FOI actions to get a look at the data and methods. But, if there is fraud and misues of data than what we are observing would be consistant. Your focus on a warming trend from 1975 to 1998 (I read at RC that trends of less than 30 years have no meaing in climate research under the IPCC standards.) So why do you place any importance on this 23 year tend? Your focus seems to be conisitant with other self deceived warmers. Why is it that that they seem to be so statisitically challenged? Perhaps it relates to some flaw in thier education. Your invalid warming trend ended 10 years ago. The only statisitcally significant trend according to a reasonable reading of the IPPC standard would be the cooling trend that ran from 1938 to 1974. Which is even longer past than the insignificant warming trend which your friends seem to drool over. Get with the times and wake up. The warming is over. We agree either cooling or warming is likly. All in according with the natural pattern. We remember the outragous statements made by the Priests of the AGW religion. We remember the false clamis that, England, Washington DC and even the artic will be free of snow by now. How many times do we have to listen to wolf before we have a right to doubt the one calling the meaningless warning? I wonder how thourghly must the AGW specualtions be discredited by real world data before this fraud is dropped? temperatures fell during the period roughly 1650-1700 and then rose sharply in the early 1700s. During the 18th and 19th centuries, a cool period which coincided with snowy winters and generally cool summers, the temperatures fluctuated widely but with little trend. From 1910, temperatures increased slightly until about 1950 when they flattened before a sharp rising trend began in about 1975. Temperatures so far in the current decade (years 2001-2008) are remarkably different in all seasons from the long-term average. It is not “some miniscule point.” The link that you provided not only fails to show what you asserted, it is not ambiguous or debatable, but clearly shows the exact opposite of what you claim. Calling me names does not advance your argument, nor does attempting to minimize your error. ““There is a great deal of irony in this basically nonsensical stuff, some of which I find rather amusing. The global warming denier blogs, where this issue first came up, seem to think that I was being critical of the I.P.C.C. report in the same way as seen from their perspective, and, as a result, I have received e-mails from the denier crowd hailing my remarks and commending me for “speaking up” on this important topic. No response to Dr. Lacis’ comment? Try using the find command working backwards from your post. Better yet, read all the posts. a) he should stop using the word “denier”. b) Probably they went to town on him and he had to recant to keep his job. 1.) From the closing he characterization by the IPCC reviewers it sounds like they are now saying this was just robust debate. Why in hell was their first response that Lacis didn’t understand the process? 2.) After reading these additional comments, Lacis defense that his language was proper and just misinterpreted sounds a little flaky. Could it be that his real problem with the draft was that it wasn’t authorative/hard enough… that’s what he’s saying now so I guess so. Still, why on earth would you invoke Greenpeace to imply wishy washy(?) Hell, he slams the use of anthropological in the summary statement but then uses it repeatedly to explain himself. Typically when I see a very technical writer who is capable of clearly explaining himself become very overly technical and confusing in his explanations I become suspicious – force of habit. Hell, I’ve even used this trick before to “throw off the hounds”. I admit, this suspicion could be the result of a very quick first read off of my mobile – I’ll try and sit down and dig through it again in more detail later. So in summary for now, let it be known that Lacis is a true believer in Global Warming (should I find it intesting that he doesn’t call it Climate Change), that any hint of skepticism is just those crazy “deniers” misreading/misleading, that Greenpeace in Climate language means wishy-washy and overly conervative and not overreaching, that AGW is just a simple physics problem, and that despite having no way to distinguish natural temperature variation from human induced temperature variation they are 95% sure that CO2 is to blame for nearly all of the observed variations in temperature. I like how you guys quote everything in your original post except Lacis’ response where he says your interpretations of his comments to the IPCC were wrong. Had I been asked to write this chapter (which I wasn’t), I would describe “understanding and attributing of climate change” as simply a problem in physics, which it actually is. I would have started the Executive Summary with: Human-induced warming of the climate system is established fact. In a way, that was my point. They overstated the definitiveness — I still feel that is true — and missed the strength of the case. I wish I’d thought of expressing it that way in the original post. Dr. Lacis pretty much hammers that here. Maybe I could take a stab at my own explanation of it… Lacis thinks they spent too much time in the weeds trying to overstate how solid the case is, when if they had outlined the entire chapter differently they could have outlined a clearer, and more solid case. The chapter starts by putting the cart ahead of the horse – attributions are made left and right without ever laying a foundation to stand on. The objective of the Assessment Report should be to produce a clear and convincing documentation of climate change, and avoid becoming a punching bag for climate change critics and skeptics. He then goes on to lay out what he sees as the proper format for it. A clear roadmap for a statement is better than puking out a bunch of caveated assertions in no particular or coherent order – on that I think we can agree. If the legalese was removed from this statement, it would verge on the patently/provably false. With the fuzzy wording (limited, no clear trend, difficult to ascertain, etc) there is much more wiggle room for defense since probably 2/3 of the statement is caveat. If one were truly concerned with the summary being a tidy, solid and clear document I think you’d have to remove attributions like this. Stick to the solid stuff, and forgo the death by a thousand cuts of restating every alleged attribution of AGW. So in summary, I’m not sure how heavily he was “misinterpreted, misused and otherwise taken out of context” – at least intentionally. I have yet to see anyone really try and make the case, and not get shot down for it at least, that he’s a secret “denier”. Speaking for myself, I also find that the summary is unclear and does not do a good job at making its point. Maybe where the ultimate misunderstanding here is that the “deniers” seem to think that these reports should clearly represent the science of climate change – the good, the bad and the ugly of it – whereas Lacis seems to think that the objective is to make the case for anthropological global warming. His comments were added after the post was made, links to his initial follow-up where put into the post, and links to his continuing follow-ups are posted here in the comments. Perhaps you could share where he said “we’re wrong” and what exactly he said “we’re wrong” about? You quote a rhetorical question that came from the original Bishop Hill blog post as your “proof”? When exactly did Lacis say “[hey Bishop Hill, your rhetorical question was wrong, yes in fact this is consensus]”? This IPCC sausage making process might be perceived as disconcerting to some sections of the public who image science to be a very orderly process of truth seeking and consensus making. Any science document when it is published, is being deliberately put forth as a public target to be ruthlessly attacked to see if it will withstand any and all criticisms that can be mustered. That is the nature of science. Factual correctness, and not consensus, is the objective. Thus, criticisms are welcome, encouraged, and solicited. Any errors large and small, omissions, or other shortcomings need to be identified and corrected. That, after all, is the science objective of the IPCC report. Up to this point, I’m not sure there is any disagreement at all between the “deniers” (on this site at least) and Lacis (and maybe many other AGW believers) – not with the way Lacis described it there at least. Please note that this in no way implies agreement on theory, etc (do I need to say it again that Lacis is a “believer”?) – just agreement on how science is supposed to work. The other aspect of the IPPC AR4 report is the political posturing component as exemplified by the Executive Summaries. Here, the need for group consensus appears to trump the need for factual correctness. In the latest response, he finally seems to get to the point he’s trying to make. His real issue seems to be that “The global warming denier blogs, where this issue first came up, seem to think that I was being critical of the I.P.C.C. report in the same way as seen from their perspective”. This is an funny statement, because it seems like he’s saying that “deniers” are not allowed to agree with his IPCC criticisms unless they also share the same underlying perspective (belief) on AGW. I imagine he might clear this up on future responses. After digging through these comments yet again, I still think the disagreement ultimately boils down to the purpose of the IPCC report (representing the science vs. making the AGW case), but I don’t think he has made it clear at all where, specifically, there is disagreement with the “denier” camp about the content (meat and bones) of the report. Lacis statement is definitely nuanced, but not on the subject of the “consensus” referred to in the rhetorical question. Thinking about it a little more… the rhetorical question seems to be in regards to the resulting summary report, while Lacis’ statement of “fact” is in regards to the underlying scientific basis for AGW theory. I see the point you’re trying to make here, but if there ever was an assertion that Lacis was a “denier” – which would be the exact opposite of his statement of “fact” – that was cleared up early on in the discussion on this issue. First, let me state clearly that I view the IPCC AR4 Report as a very successful and useful scientific summary of our current understanding of global climate and global climate change. The IPCC authors had a very difficult task of pulling together an enormous amount of scientific data and analyses into one coherent document, and also to prepare the so-called Executive Summaries incorporating sufficient political posturing to cater to the interests/concerns of policy makers from a hundred different nations. The whole effort required orchestrating on an international scale several hundred author/contributors and reviewers. As I posted WAY up in the comments when this response came out, he seems to be significantly happier with the final version than the draft the review comments were in reference to. This, majority speaking, does seem to counterpoint the implications of the rhetorical question (I’m doing your job for you Hans 😉 but it doesn’t necessarily clear up every questions raised by his initial, or subsequent comments. I do agree that Lacis raised some interesting questions in his initial review comments and his subsequent comments. I just don’t think the owner’s of this blog care. Either on their own or via quotations from another blog, the mods of this site continually post misleading information, distort it even more with a bit of editorial comment, and then fail to address or correct errors discovered after the post has been made. I’m not saying that every post follows this pattern (I don’t have nearly the free time it would take to investigate them all), but the majority of the ones I’ve read while visiting here do. This could have been an interesting discussion about the IPCC process, the process for creating the Executive Summary, how the review process works, etc. Instead thanks to being positioned, incorrectly, as another look at how AGW is a hoax and even GISS scientists think so, we get another endless string of comments along the lines of “The IPCC is a sham”. Sad, especially for a site formally awarded the title ‘Best Science Blog’. You either misunderstand how this site works, or you are deliberately misrepresenting it. For example, Gavin Schmidt, running the privately owned blog realclimate, spends large parts of his work days moderating and answering posts himself. To say that is cheating the taxpayers is an understatement. That method is as if Anthony himself stepped in and answered numerous posts. But he rarely does that, and the moderators almost never editorialize following a comment. At WUWT, everyone is welcome to post comments, even you [and if you posted with your attitude here at many of the alarmist sites, your post would never get out of moderation]. Every point of view regarding AGW, “carbon,” weather, etc., is allowed. But rather than the mods or Anthony arguing with comments like Schmidt constantly does, Anthony leaves it up to other commenters to give their points of view and do the correcting. The truth is arrived at by this method. Eventually, those with untenable arguments are self-silenced, because they don’t want to further embarrass themselves [trolls are the exception]. This is a much better system than having one self-designated expert bring down the tablets from the mountain. And people seem to like it better than echo chambers like realclimate, deltoid, climate progress, etc. : 36 million hits and counting. “Every point of view regarding AGW, “carbon,” weather, etc., is allowed. But rather than the mods or Anthony arguing with comments like Schmidt constantly does, Anthony leaves it up to other commenters to give their points of view and do the correcting. Please explain how one can possibly guarantee that the truth is arrived at using the methods to which you assert this blog subscribes. I’d also like to know how refusing to correct blog posts that are clearly in error in any way helps these discussions. Finally, in order to put your money where your mouth is, so to speak, why not tell me what “truth” you’ve arrived at after reading the posts on this thread. How do the facts measure up against the implications made in the above post by the WUWT mods? Wow, that really does explain a lot. I was under the misunderstanding that this was a science blog but, as described by Smokey, it sounds more like a sociology experiment. How do you expect the “Truth” to rear it’s head in your comments’ section if you taint your posts with editorial comments that likely not only bias the presentation of whatever article, research paper, etc you’re discussing, but also serve to drive away those looking to have a scientific discussion about facts in the first place? Where are the voices of the scientists whose work you’re discussing? How do you find this “truth” without their participation? Doesn’t make any sense to me. I’ll put the question to you guys that I put to Smokey. What’s the “Truth” you’ve arrived at after reading the comments here? Should the next blog that references your original post just take it at face value or do you see some comments here that alter the message and should be referenced in addition/instead? I think you’ll find the philosophy of science and truth discussions over on the Ravetz thread. Thanks, but I think I’m done with this site now that I know how it’s intended to operate. An influential “scientific” blog that knowingly leaves BS filled posts uncorrected so that the errors can be cut-and-pasted across the internet is not a place where I want to spend my time. I’m only a recent visitor here, but so far the inactions of the mods don’t seem to stem from a search for the “truth” so much as laziness and a desire to prop up their skeptical point of view, regardless of what the facts actually show. Charles is right, but since there are about three or four people still following this thread, I’ll try to answer your concerns. Then you can have the last word if you like, because I’ll be moving on to the current home page articles. The ‘truth’ I was referring to means the general conclusions arrived at by readers debating the questions. It is the same general way that peer review works: there is a comment stated, which then stands or falls based on the winnowing process of pro and con comments. Regarding editorial comments by Anthony and his moderators, compared to most alarmist sites there is, well, no comparison at all. RC an the others constantly use in-line editorial comments by Gavin Schmidt, Tim Lambert, etc., to argue with comments that they don’t agree with – while WUWT lets other comments do the job. That is a superior method, because the authority demonstrated by a blog owner pulling rank over a commenter changes the dynamics of the debate. Those in agreement with the blog owner tend to pile on, while those disagreeing tend to keep silent for fear of an in-line reprimand on their own post. But when the debate is left up to rank-and-file posts between those with different points of view, the tendency to speak out freely is uninhibited. So the claim that posts are tainted by editorial comments by Anthony or moderator[s] comes across as projection; that is actually the method of choice of alarmist blogs, but it is very rarely used here. Likewise, your comment, “Where are the voices of the scientists whose work you’re discussing?” is somewhat confusing. Those scientists you’re referring to are encouraged to respond, and they frequently do. Nobody here silences their voices. Scientists like Dr Walt Meiers and others from the AGW side have submitted articles, which add to the debate and show that WUWT is a forum that promotes all points of view. That openness is very different from the routine censorship of readers’ comments at realclimate, climate progress, and others of that ilk. Feel free to believe that this is a sociology experiment if you like. But IMHO it is simply a very popular and influential site model that owes its success to its refusal to censor opposing views, rather than using the authority of Anthony and the moderators to routinely insert their own editorial comments and arguments in response to posts that they may privately disagree with. Other readers are perfectly capable of deconstructing illogical or false comments from either side, and people don’t get the impression that the teacher is correcting them. As an example, there is a comment pointing out that Dr Lacis changed his story on 2/10 – one day after the WUWT article appeared. No wonder you’re upset at the open discussion here. Tamino’s “Closed Mind” site avoids mentioning that problem [and probably censored comments that pointed it out]. Score another point for open debate. Schmidt, Romm, Connolley, Lambert, Foster and the rest could learn a valuable lesson from the WUWT model. But they can’t resist the urge to control the conversation, up to and including the censorship of any ideas they don’t want to be seen by others. At WUWT, readers sort it out themselves in a much more democratic fashion. In the free market of ideas, WUWT has the superior business model, as its spectacular success has proven. This was apparently taken out of context…. “The bottom line is that CO2 is absolutely, positively, and without question, the single most important greenhouse gas in the atmosphere. It acts very much like a control knob that determines the overall strength of the Earth’s greenhouse effect. Failure to control atmospheric CO2 is a bad way to run a business, and a surefire ticket to climatic disaster. Can we drop the context argument? His original comment basically said the summary draft report was an overly political and legalistic piece of crap that sounded like it was written by Greenpeace… I agree! How can our agreement with the verbiage of his original statement be a willful misrepresentation/quote-out-of-context? You say: But you think so-and-so is being a jerk because of the way he dresses, but I think it’s because of that hat he’s wearing – you agreed with me out of context!!!!!! Very well spoken. Never realized that before but after looking at the warmist sites – it’s obvious. And a big kudos to the Mod team and Anthony, as well.